Winter Classes at My Artlab promise to keep children busy inventing, solving, enjoying and learning from great creative challenges. The process from a little idea to a conceptual sketch to fully realized projects of all sizes and kinds, captures the imagination of children and their parents alike. 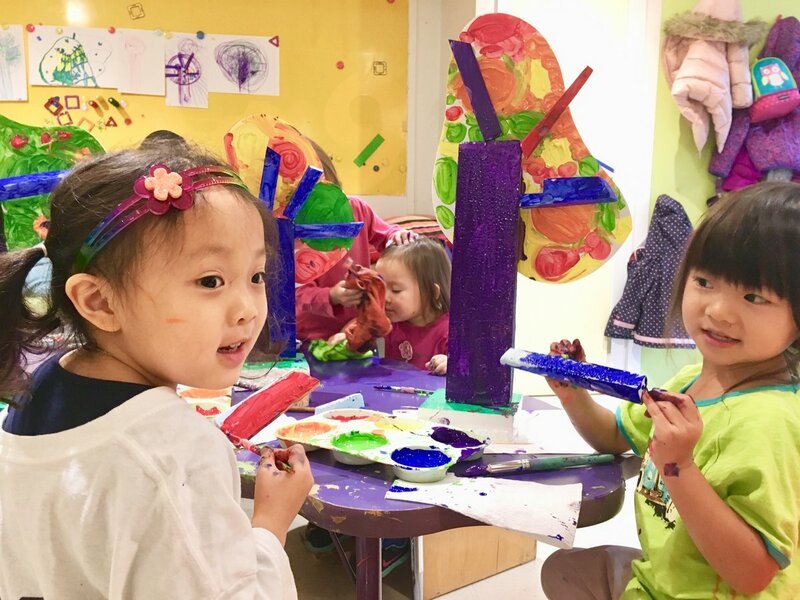 Our vibrant and flexible studio accommodates all kinds of age appropriate activities starting with crawling babies to toddlers to preschoolers to school age children. Award winning set and costume designer Andjelija Djuric uses her visual theatre background, international studies and years of experience as a children’s art educator in school and gallery setting to lead original and engaging art program. To register please go to our CLASSES PAGE and click info for a description of the camp and book to register. Please note that the registration will not be complete without the completed payment online. Please contact andjelija@myartlab.ca if you have any questions or if you would like to visit the studio prior to registration.